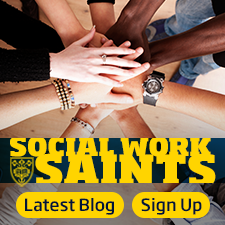 St. Scholastica's Social Work Program is accredited by the Council on Social Work Education (CSWE). Our graduates enter most Master of Social Work programs with advanced standing. St. Scholastica was named on the list of Top 200 Colleges for Native Americans by Winds of Change magazine. Accelerated learning options. Program length varies from 16 months to two years by location. Be a force for good. Through a career in social work, you can enhance human well-being and empower vulnerable populations, while helping address the needs of individuals, families, groups and entire communities. This profession is founded on the social work core values of service, social justice, dignity and worth of the person, importance of human relationships, integrity and competence. At The College of St. Scholastica, we embrace these values and the social work profession in the context of the College's Benedictine tradition. Join the next generation of life-changing professionals. Apply today. Our curriculum focuses on values and the real-world application of skills. This enables you to take a personal approach with clients and ensures you have the tools you need to prepare for a lifetime of meaningful work. Graduates of the B.A. in Social Work degree program (accredited by the Council on Social Work Education) are prepared for beginning the generalist professional practice. Graduates are also eligible for advanced standing in most Master of Social Work programs, providing a streamlined route to the education needed for mid- and senior-level social work careers. Start your journey here and go anywhere. You want to help people. Fortunately, organizations and communities in a variety of settings are looking for people seeking people hoping to make a difference and help others improve their well-being. According to the Bureau of Labor Statistics, the social work profession is expected to grow at a faster-than-average rate of 16% through 2026, with increased growth for medical and integrated healthcare social workers. With a B.A. in Social Work, you can work in organizations such as family service agencies, hospitals, schools (elementary and secondary), homeless shelters, and more – places where people take pride in their work, because they see the impact they have every day. That is just one reason why a number of bachelor’s-level social work jobs are ranked best by U.S. News & World Report. Are you ready to take the next step? Apply now, or explore the locations where our social work program is offered below. We offer a traditional day program at our main campus in Duluth. The College of St. Scholastica’s B.A. in Social Work program at Fond du Lac Tribal and Community College (FDLTCC) is offered in a blended format designed with weekly online classes and twice-a-month, on-campus classes on Friday afternoons and evenings and on Saturday. This enables people who are working full time and/or living in rural or tribal communities in northern MN or WI to earn their degree in two years. 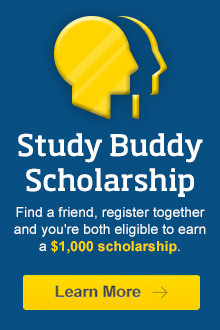 We accept students who have earned between 59-71 eligible transfer credits. We prefer that students have completed the MN Transfer Curriculum or an A.A. degree, and have also completed all required lower-division courses in preparation for the social work major. The College of St. Scholastica and Fond du Lac Tribal and Community College (FDLTCC) have a special transfer agreement in place to accept students with an A.A. or A.S. degree, with a concentration in Human Services. Ask us about this easy transfer process. Review our admissions requirements and checklist for additional information or apply now. At Central Lakes College (CLC) in Brainerd, you can earn your B.A. in Social Work in a mostly online format. This new option allows you to take required coursework online and participate in two, four-day intensives in the Brainerd Lakes area. This degree can be completed in 16 months. This program includes opportunities for you to delve deeper into the profession through extended internship practice, involvement in community projects and opportunities to participate in international service-learning trips to Mexico or Jamaica to practice social work and explore social justice concerns. At Inver Hills Community College (IHCC), students pursuing a B.A. in Social Work may choose from a 16-month track or a two-year track which includes a summer break. To fit your schedule, courses are delivered in an accelerated evening format and you’ll meet on campus on Tuesdays and Thursdays from 5:30-9:30 p.m. The College of St. Scholastica and Inver Hills Community College (IHCC) have a special transfer agreement in place to accept students with an A.A. or A.S. degree, with a concentration in Human Services. Ask us about this easy transfer process. The B.A. 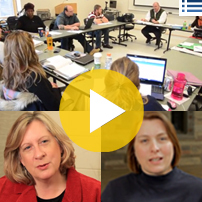 in Social Work at Riverland Community College involves a hybrid format which combines online classes with on-campus meetings on Tuesday and Thursday evenings at Riverland Community College in Austin. Courses are delivered in an accelerated evening format and meet on campus on Tuesdays and Thursdays from 5:30-9:30 p.m. and occasional Saturdays. We also have a “2-Plus-2” degree, which provides you a seamless pathway from a two-year associate’s degree to a four-year bachelor’s degree. The social work program accepts students from all three Riverland campuses — in Austin, Albert Lea and Owatonna — who hold the two-year associate of arts degree. The College of St. Scholastica and Riverland Community College have a special transfer agreement in place to accept students with an A.A. or A.S. degree, with a concentration in Human Services. Ask us about our seamless transfer program which allows you to complete your degree in just 16 months if you’ve already earned between 59-71 eligible transfer credits. We prefer that students have completed the MN Transfer Curriculum or an A.A. degree, and have also completed all required lower-division courses in preparation for the social work major. See the Social Work Transfer Guide for Riverland Community College. 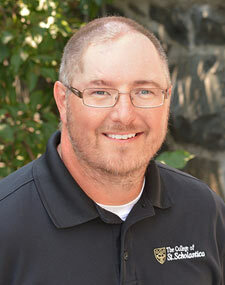 "The social work program at St. Scholastica was the perfect combination of flexibility and rigor. The work was challenging, but the instructors were supportive, and always encouraged growth. I appreciate having an accredited program like CSS support higher education in rural communities." "St. Scholastica’s Austin program allowed me to earn a bachelor’s degree at an accredited and prestigious college in my hometown. I am a working mom and the schedule allowed me to maintain a healthy life balance. The social work program faculty were helpful, passionate and empathetic." "As an adult student with a full-time job, I found participating in the weekend delivery model ideal. At St. Scholastica, I found an accredited program that was created with working parents in mind."